For more information or to schedule an interview, please contact Media Coordinator: Adam Pitra. The documentary Lakay will make its theatrical debut in Chicago and Miami on October 17th. The screenings will expand to include both coasts on October 24th. Lakay, Creole for "home", was shot in Port-Au-Prince and Chicago. 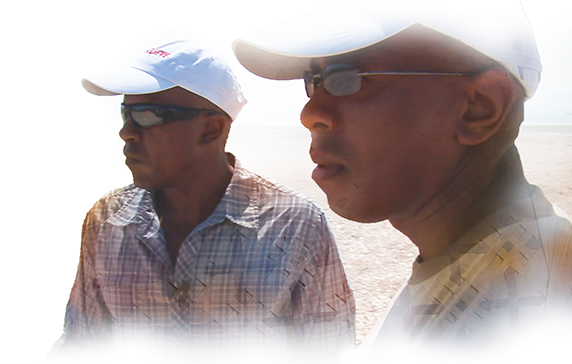 Synopsis: After the 2010 earthquake, Haiti is in ruins, towns are destroyed, and families have been displaced. Lakay tells the story of two brothers, Alexius and Romeo, who are on a mission to locate and find their loved ones. Drawn back to Haiti by the devastation, these filmmakers reveal the tragedy caused by this natural disaster from an intimate and personal perspective. Lakay was selected as an official entry in the documentary category of The 9th Annual Harlem International Film Festival, and will screen this September. Hollywoodchicago.com's Patrick McDonald described Lakay as a " poignant and heartfelt voyage of two souls finding something that they didn’t know existed...The filmmakers had a knack for finding the stories in Haiti that blessedly illustrated their trek to enlightenment. 5 out of 5 Stars." On January 10th 2014, I 2 Believe will be hosting a private screening of Lakay to commemorate the 4 year anniversary of the devastating earthquake. This complimentary one-night-only event will take place at the Little Haiti Cultural Center in Miami, Florida. Sponsored by I 2 Believe, a 501 (C)(3) nonprofit created after the 2010 earthquake, Lakay is a tribute to all those who were affected or lost loved ones. This documentary tells the story of two brothers, Alexius and Romeo, who are on a mission to locate and find their loved ones. Drawn back to Haiti by the devastation, these filmmakers reveal the tragedy caused by this natural disaster from an intimate and personal perspective. To RSVP, please email Lakay@fourfeatures.com and place "Miami" in the subject line.